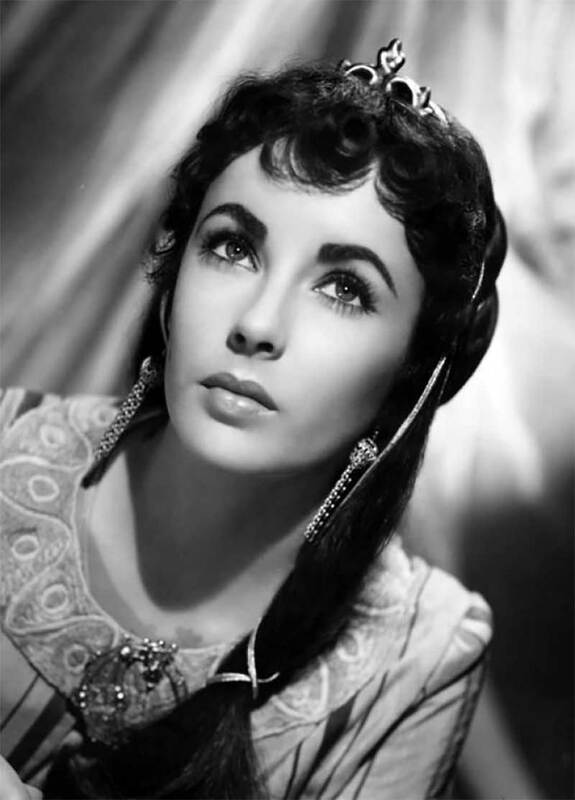 Elizabeth Taylor may very well be the most influential fashion icon in the jewelry world. Through her work as a famed Hollywood actress, to her many love affairs, to her impeccable and daring sense of style, she has inspired us both with her glamour and intrigue. 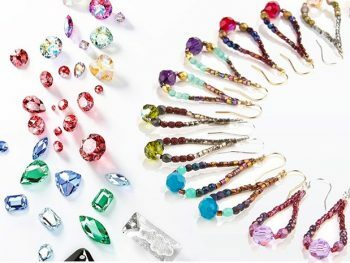 Her vast collection of fine jewelry purchased by her and given to her as gifts are well documented in her jewelry autobiography My Love Affair With Jewelry that came out in 2002. 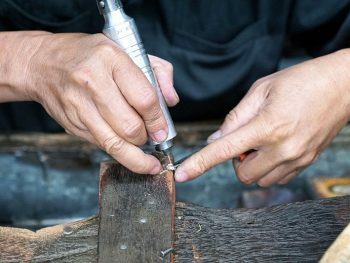 In keeping with her book’s introduction, Elizabeth Taylor passed away in 2011, and it was then time to find her heirlooms new and worthy homes. Records were shattered when the prized jewelry from this Hollywood starlet hit the auction block. 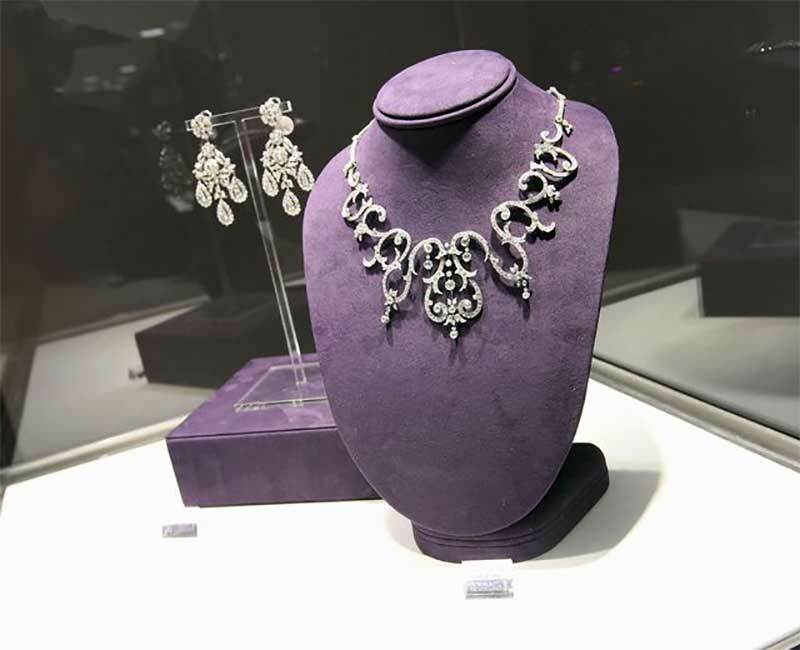 The once in a lifetime event was by far one of the most anticipated auctions the jewelry industry has seen in a long time, which was no surprise due to the incredible and lasting influence Elizabeth Taylor has had on all of us jewelry lovers. 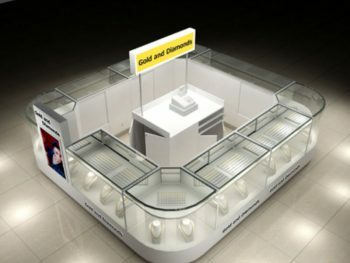 Her jewelry exceeded their weight in gold and then some as the prices clearly showed. All the proceeds from the auction went to support her longtime humanitarian efforts with The Elizabeth Taylor AIDS Foundation (ETAF). Join me on a look back at some of Elizabeth Taylor’s most unforgettable heirlooms as well as some of her best jewelry looks. 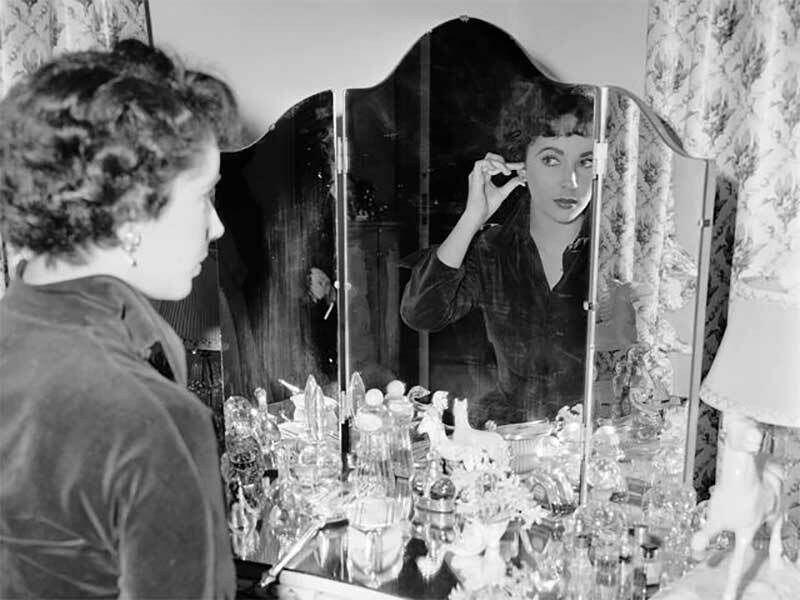 Above: Elizabeth Taylor tries on an earring at her dressing table, circa 1950. 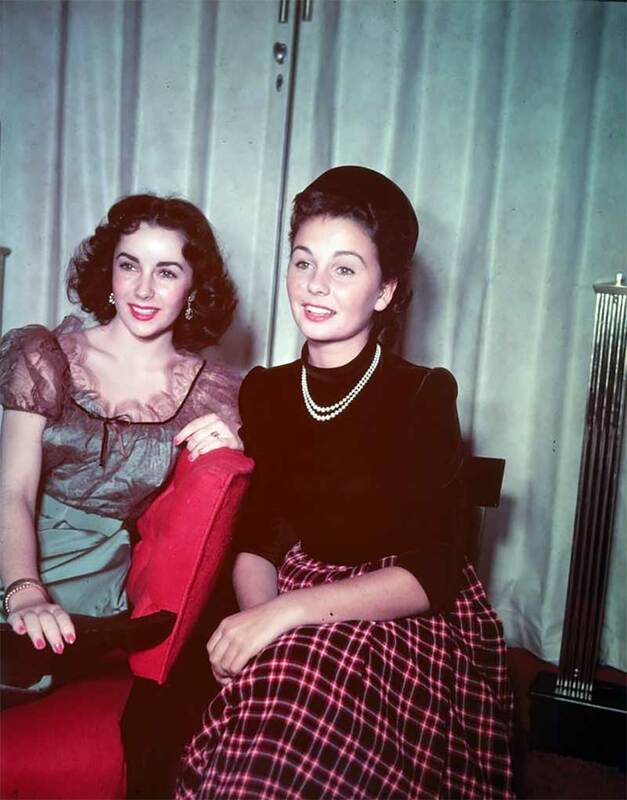 A youthful Elizabeth Taylor and Jean Simmon sit together and smile, circa the 1940s. Taylor is wearing a simple yet glitz pair of dangly earrings. Here Elizabeth is wearing a classic bow pendant with matching drop earrings for a promotional photo in 1950. The look is timeless and simple and frames her face beautifully. As an actress, Elizabeth Taylor has taken on countless roles and has likewise been able to experiment with many different jewelry looks. Here Elizabeth Taylor looks flawless in an unusual tiara and long chain earrings for her role as Rebecca in the film Ivanhoe. Elizabeth Taylor Earrings – Photo of Elizabeth Taylor by Hulton Archive. At age 20, Elizabeth Taylor’s beauty shines in a 1953 publicity shoot featuring shorter upswept hair and a stunning pair of chandelier earrings. 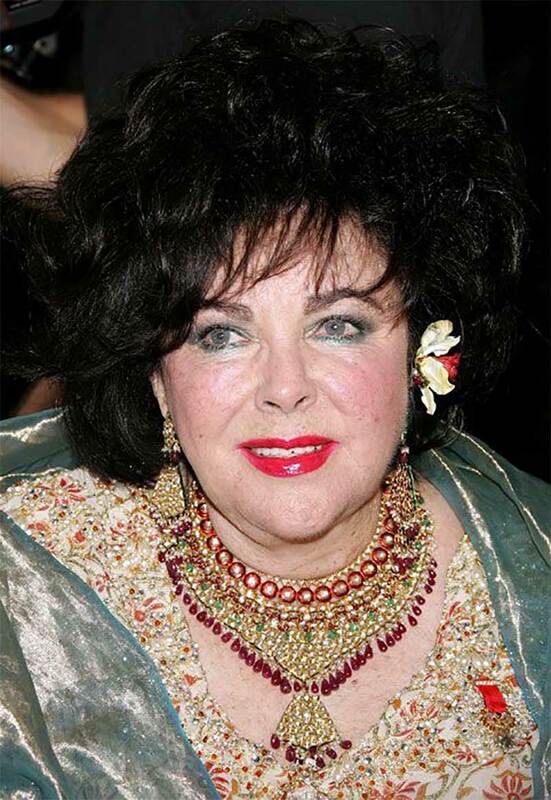 Elizabeth Taylor Jewelry, Emerald Necklace. I just love this photo! The combination of the dark lip, short textured hair and the festoon necklace with matching earrings scream Hollywood siren. Here we see Taylor with her second husband Mike Wilding at an event in 1954. When Elizabeth Taylor was in her twenties, it seemed every promotional photograph they took of her could be a jewelry advertisement. Here is yet another photo that makes me want to put on a pair of chandelier earrings and chop my hair into a bob. 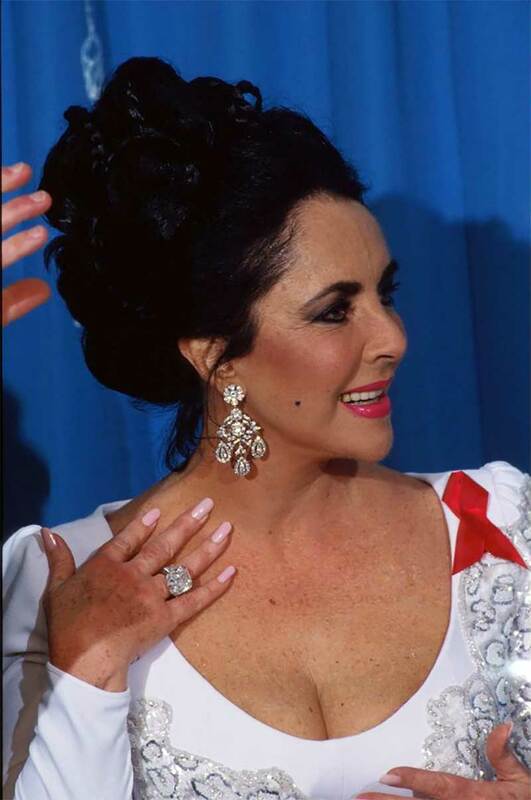 Elizabeth Taylor Jewelry: Earrings and Tiara – Michael Ochs Archives. Here is our first look at the stunning antique tiara that Elizabeth Taylor famously wears in a swimming pool, which you will read about later. 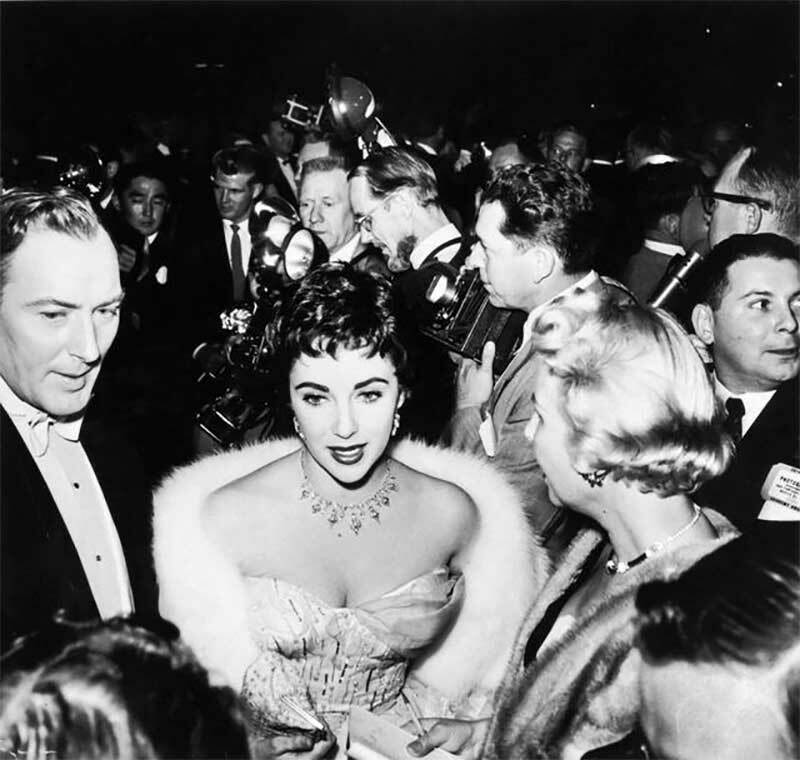 This photograph was taken at the 29th Academy Awards ceremony in 1957. This is such a candid and cute shot of Elizabeth Taylor beautiful and beaming with her third husband Mike Todd at the Cannes Film Festival in 1957. 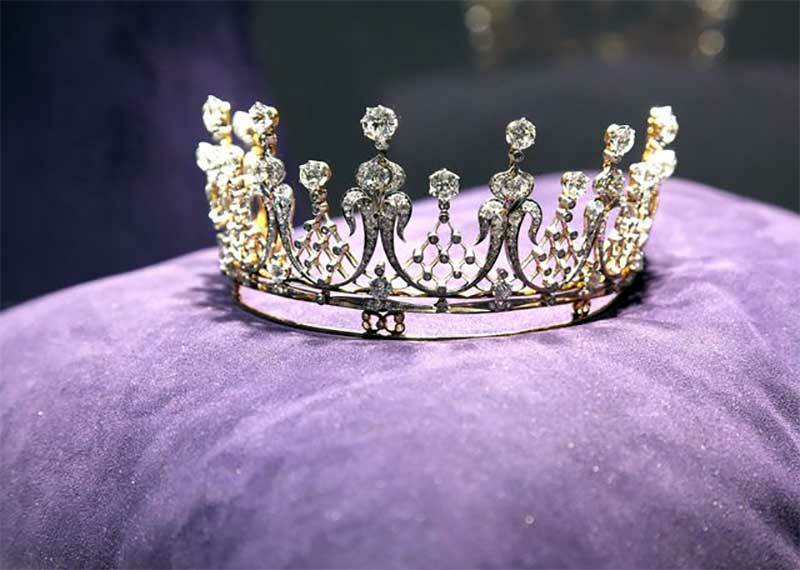 Taylor later wrote on the tiara in A Life of Jewelry, “when [Todd] gave me this tiara, he said, ‘You’re my queen, and I think you should have a tiara. I wore it for the first time when we went to the Academy Awards. It was the perfect night because Mike’s film Around the World in 80 Days won for Best Picture. It wasn’t fashionable to wear tiaras then, but I wore it anyway because he was my king.” I cannot get over how romantic this quote is, nor can I get over how gorgeous this tiara is. Check out an up-close view on our next slide. 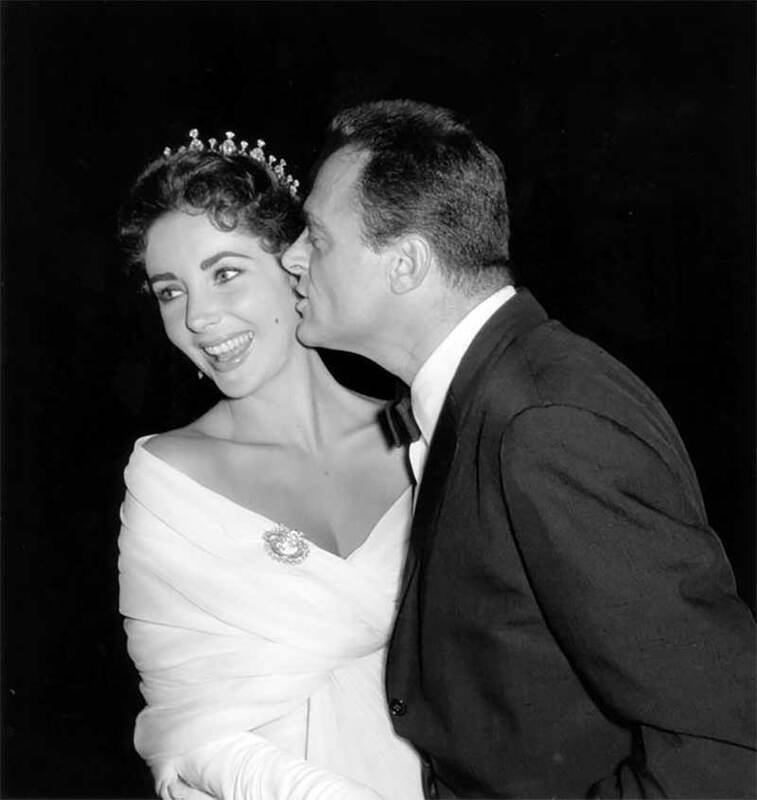 Mike Todd Diamond Tiara for Elizabeth Taylor – Paul Zimmerman/WireImage. This tiara was given to Elizabeth Taylor in 1957 by her third husband, Mike Todd. The heirloom tiara dates to about 1880 and is complete with gorgeous old mine cut diamonds set in gold and platinum. The great thing about Elizabeth Taylor is that she wasn’t afraid to wear her jewelry, no matter how lavish, and no matter the event. She was spotted wearing this tiara at events before and after Todd’s death even when, as she said on the previous slide, tiaras were not fashionable. If Elizabeth Taylor has taught us anything, it is that diamonds and gemstones will always be fashionable! This photograph shows Elizabeth Taylor wearing the famous ruby suite given to her by Mike Todd. We see her talking to the Duchess of Kent at the premiere of Around The World In 80 Days in London in 1957. You can’t tell because of the black and white photo, but the dress she is wearing a ruby-red Dior dress. 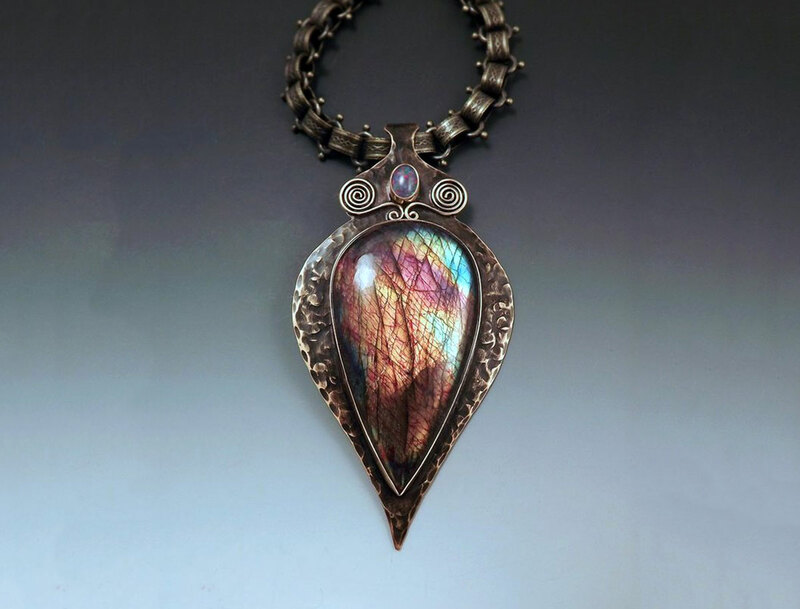 Check out the next slide for a full-color photo of this jewelry. Elizabeth Taylor Ruby Cartier Jewelry Suite. Taylor reflected in her book on this suite as well as the diamond tiara both gifted by Todd, “I got out and put my arms around him, and he said, ‘Wait a minute, don’t joggle your tiara.’ Because I was wearing the tiara, he had bought for me in the pool! He was holding a red leather box, and inside was a ruby-and-diamond bib necklace, which glittered in the warm light. 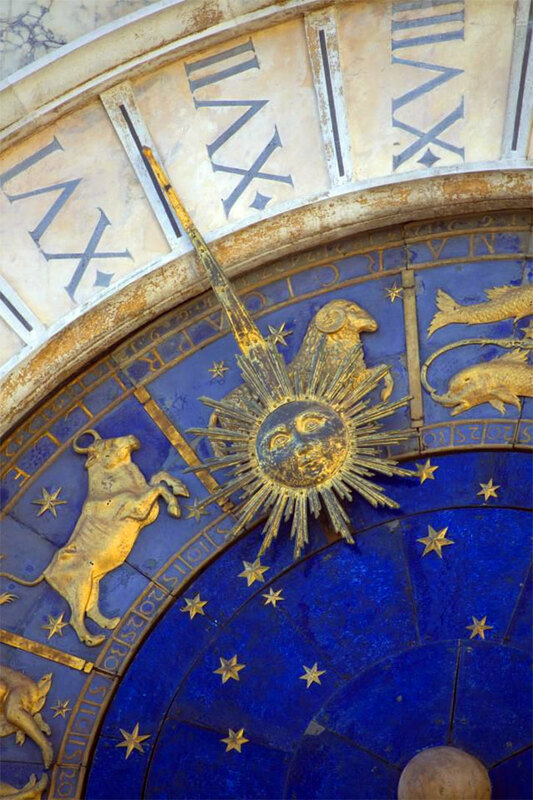 It was like the sun, lit up and made of red fire. It takes a total jewelry goddess to be able to wear an antique diamond tiara in a pool! This whole story is so picturesque. This photograph shows Elizabeth Taylor’s on-screen persona evolve with the changing styles of the 1960’s on the set of the Boom in 1967. 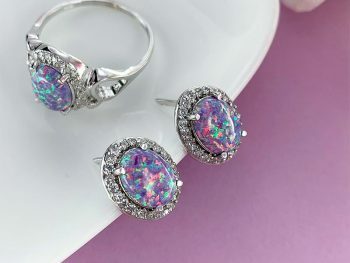 Stay up to date with the latest jewelry news and tips by following us on Facebook, Twitter, Pinterest, and Instagram. Want to read even more? 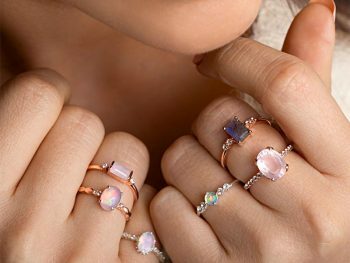 Sign up for our weekly jewelry newsletter here. 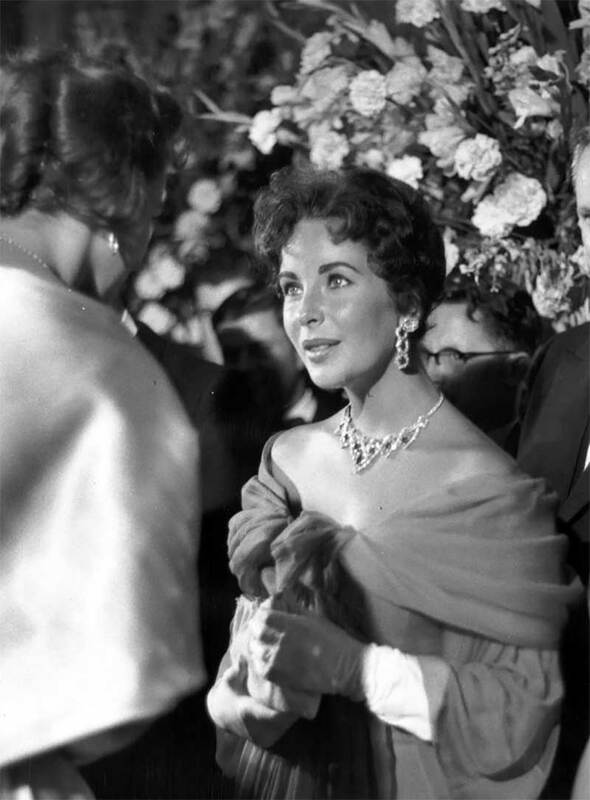 Elizabeth Taylor Emerald Necklace – Photo of Elizabeth Taylor by Keystone. In the 1960’s, we also saw Elizabeth Taylor experiment with fashion. She matched this now famous emerald necklace and pendant with an eclectic headdress. She had no fear when it came to fashion. Elizabeth Taylor Jewelry, Emerald Necklace and Earrings. 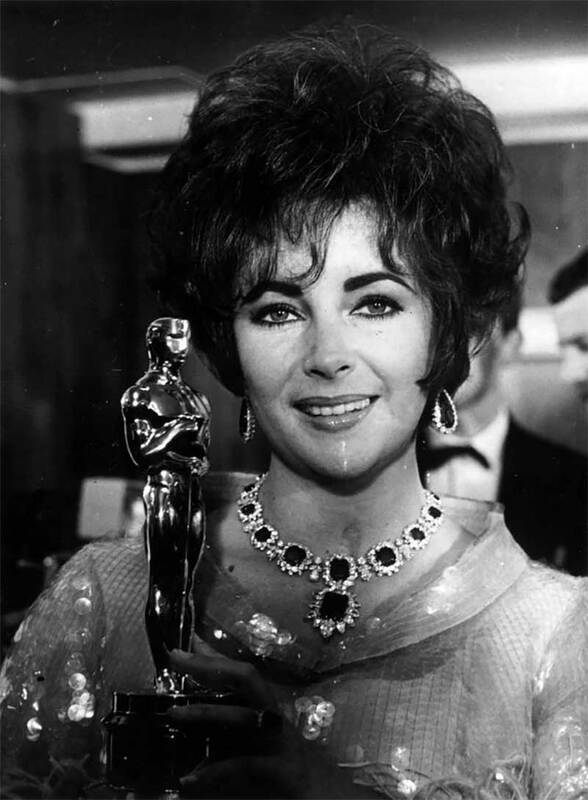 Here is another more normal shot on Elizabeth Taylor wearing the incredible emerald necklace and pendant for the Oscars. Taylor won an Oscar that year for the film Who’s Afraid of Virginia Woolf. 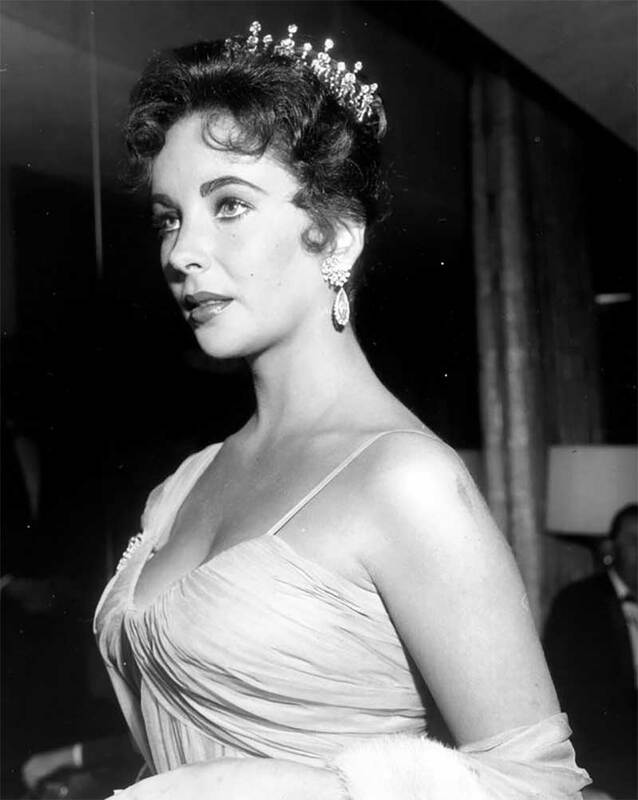 The Elizabeth Tayor Jewelry: Famous Emerald Necklace from Richard Burton. 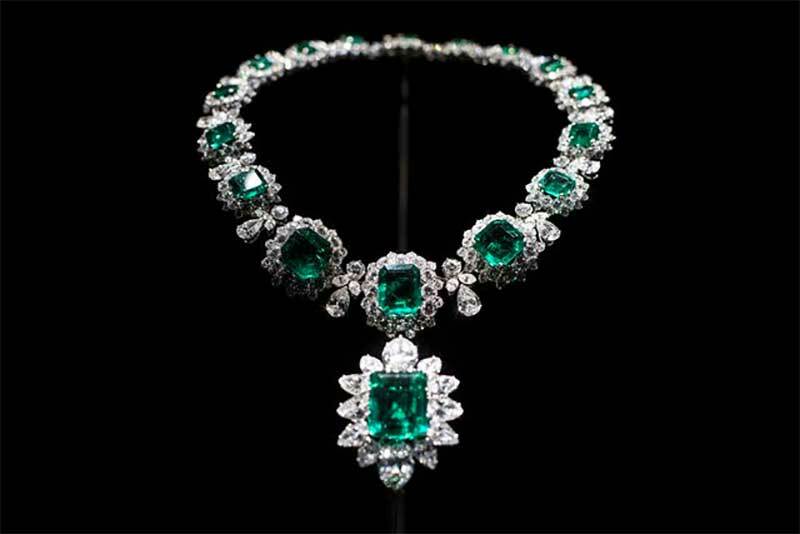 The Emerald suite of jewelry that included this necklace may be one of the most iconic parcels of jewelry that Elizabeth Taylor owned. 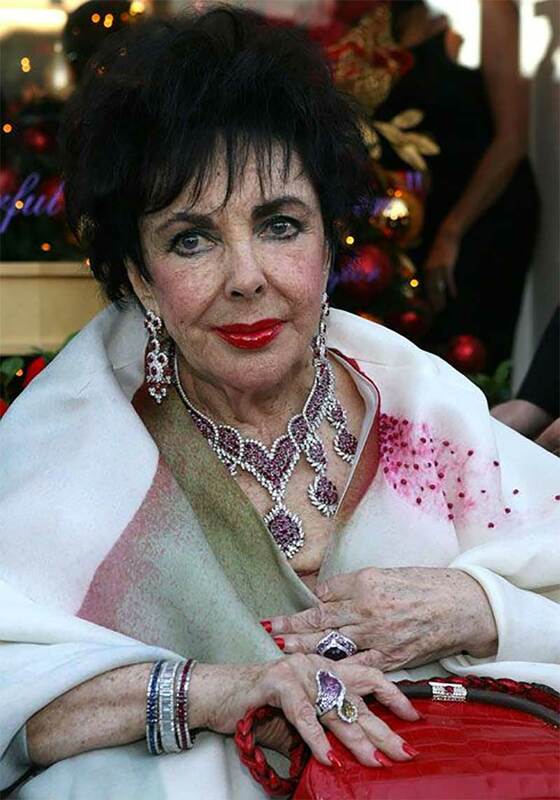 Not only was she photographed wearing the emeralds many times over the span of many years, but they were one of the most sought-after portions of the highly regarded Elizabeth Taylor jewelry auction in 2011. The necklace and pendant sold separately for about 6 million dollars a piece! To give you an idea of how sought after these jewels were, the necklace had an auction estimate of between $1 and $1.5 million. It sold for more than 5 times this amount! 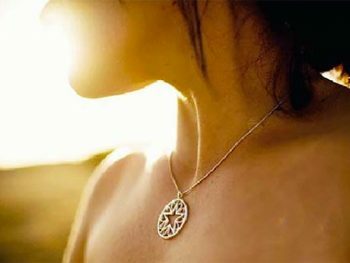 The pendant made even more of a splash exceeding its pre-auction estimate of $500,000 – $700,000. 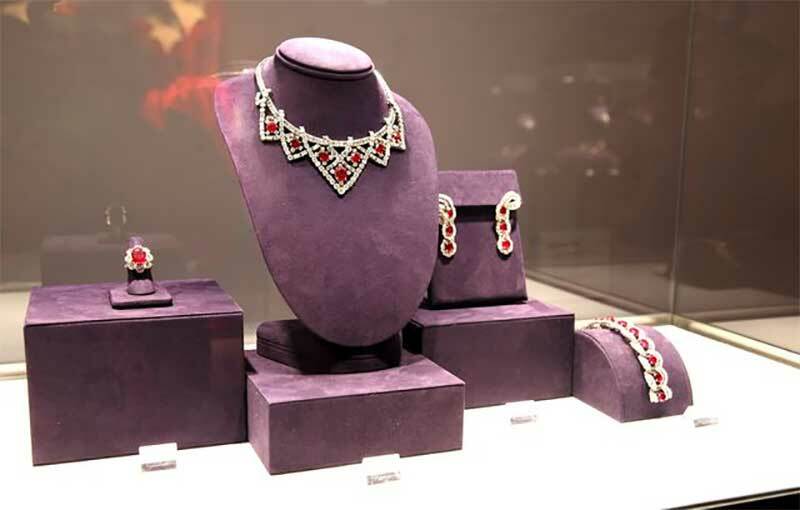 Bulgari who originally made the set bought both the pendant and the necklace and had since unveiled them at their Rodeo Drive boutique in Los Angeles in 2013 and had them on display at the Victoria & Albert museum in 2014 as part of The Glamour of Italian Fashion exhibit. The Bulgari emerald and diamond suite were gifted to Elizabeth Taylor by her on and off husband, Richard Burton while she was filming Cleopatra in the early 1960’s. 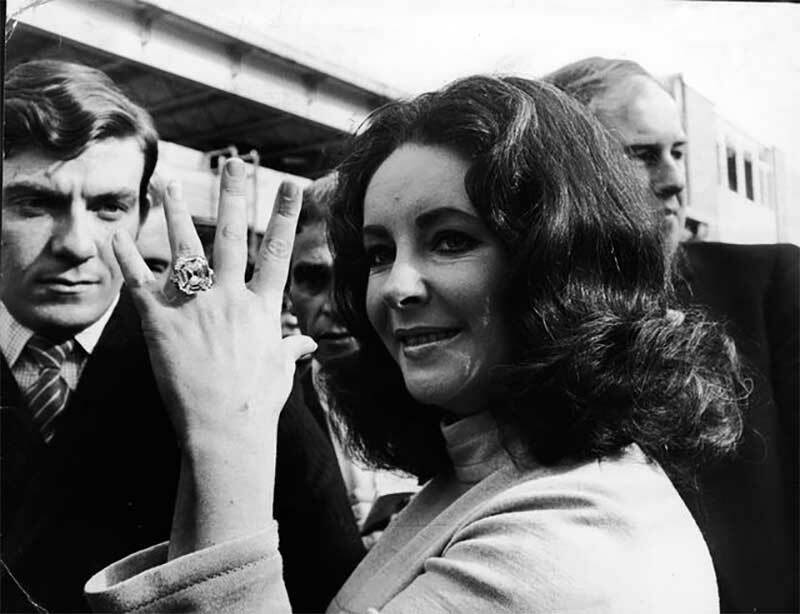 Elizabeth Taylor shows off the gorgeous and well-loved 33.19-carat diamond ring given to her by husband, Richard Burton. 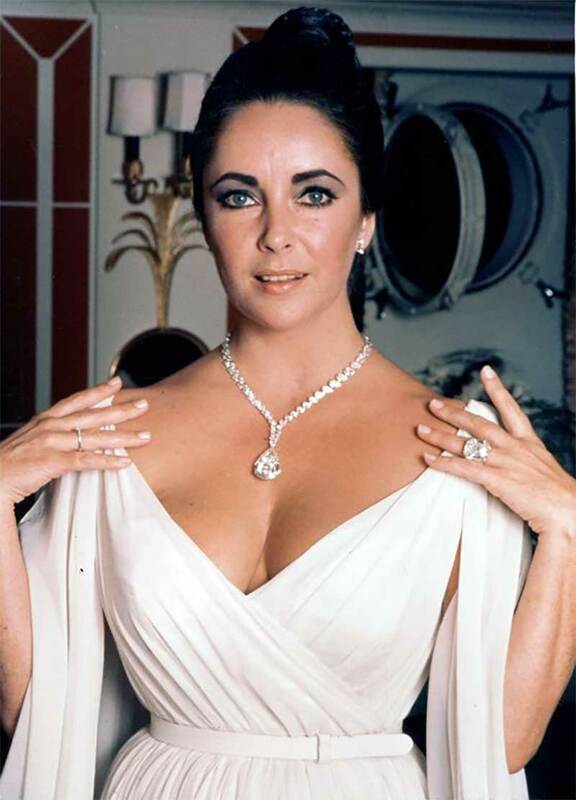 Elizabeth Taylor Jewelry: The Krupp Diamond. 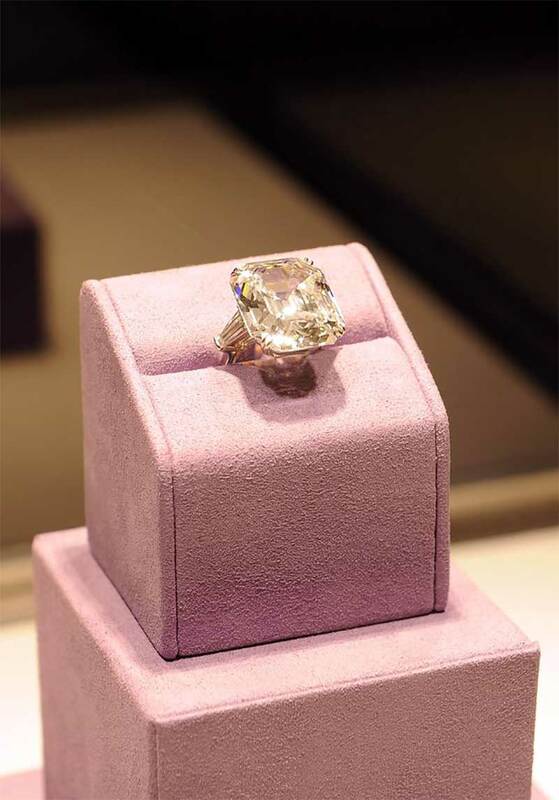 The Elizabeth Taylor diamond from the previous slide was originally called the Krupp diamond. 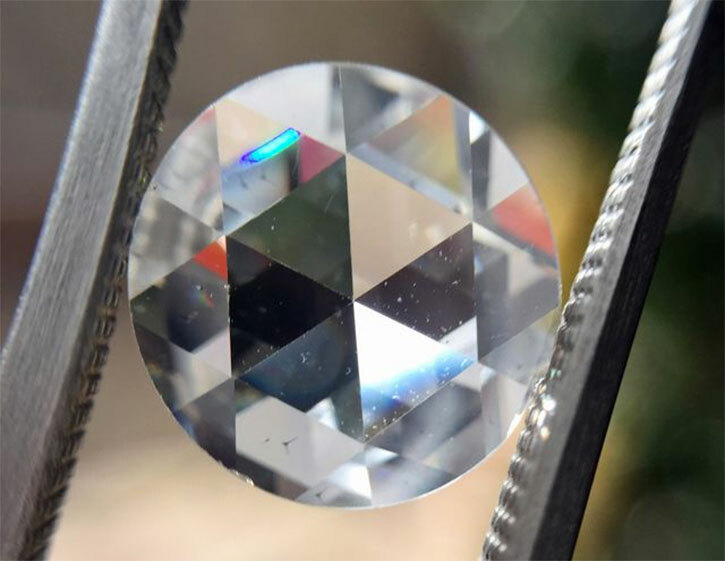 This gift from Richard Burton was purchased in 1968 at auction for $305,000 and is an old Asscher cut from the 1920’s that weighs 33.19 carats. 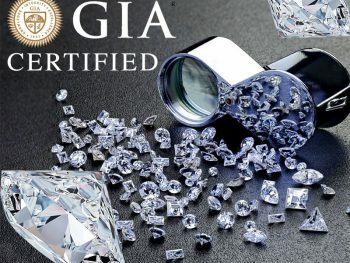 The diamond sold at the 2011 jewelry auction for $,8,818,500, setting a record of $265,697 per carat for a colorless diamond. Elizabeth Taylor Jewelry: The Granny Suite by Van Cleef and Arpels. The necklace had a pre-auction estimate of $120,000 – $180,000 and sold for $902,500. 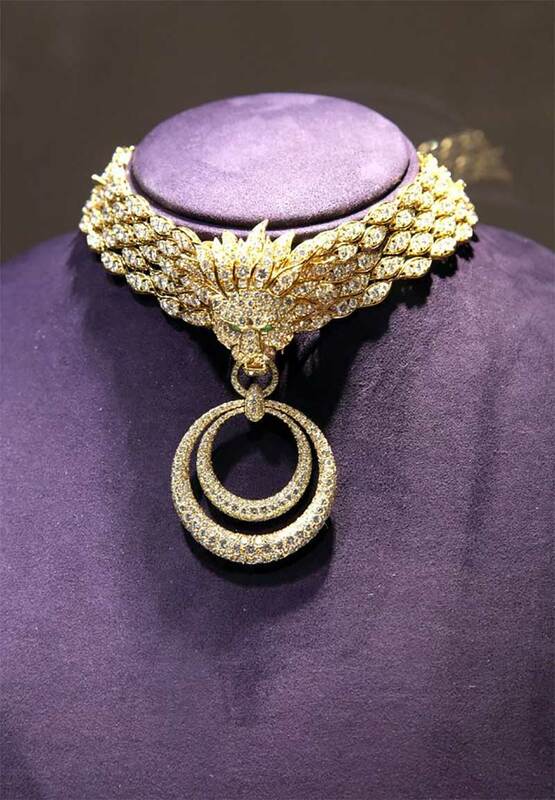 Elizabeth Taylor Jewelry: Pear Shaped Diamond Necklace. Elizabeth Taylor Jewelry – Stanley Bielecki Movie Collection. This is a charming promotional shot of Elizabeth Taylor with her actor husband Richard Burton in 1975. They look very much in love, and Taylor stays on trend with long layered necklaces and large hoop earrings. Elizabeth Taylor Earrings – Michael Ochs Archives. 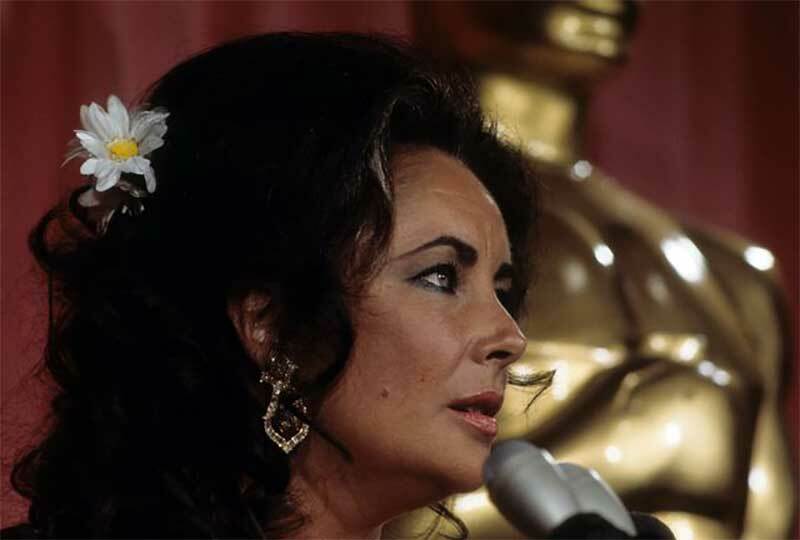 Here is a gorgeous shot of Elizabeth Taylor at the Academy Awards in 1978. She is wearing the now famous Burton Cognac Diamond Earrings by Van Cleef & Arpels. Check out the next slide for an up-close look! Elizabeth Taylor Jewelry: Burton Cognac Diamond Earrings by Van Cleef and Arpels. The Burton Cognac diamond ear pendants by Van Cleef & Arpels were a gift from Richard Burton to Elizabeth Taylor on their tenth wedding anniversary around 1974. 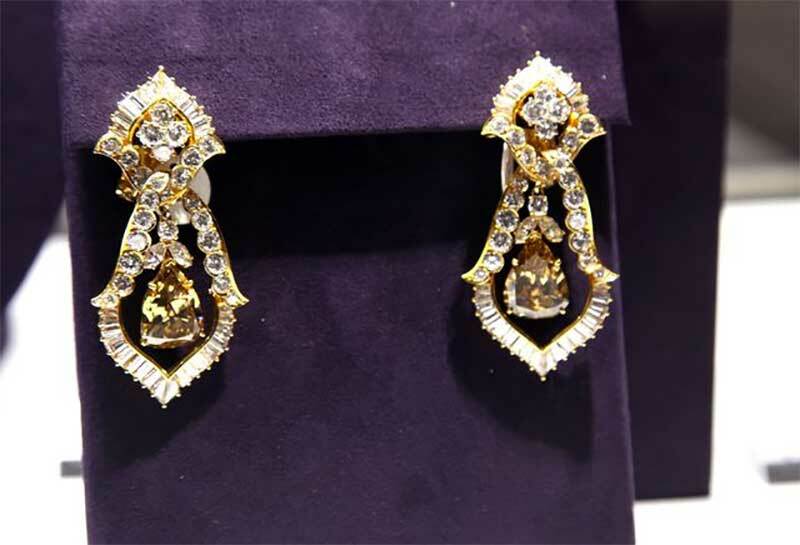 She not only was gifted these earrings, but also a 33.81-carat pear-shape cognac and white diamond ring also by Van Cleef & Arpels. 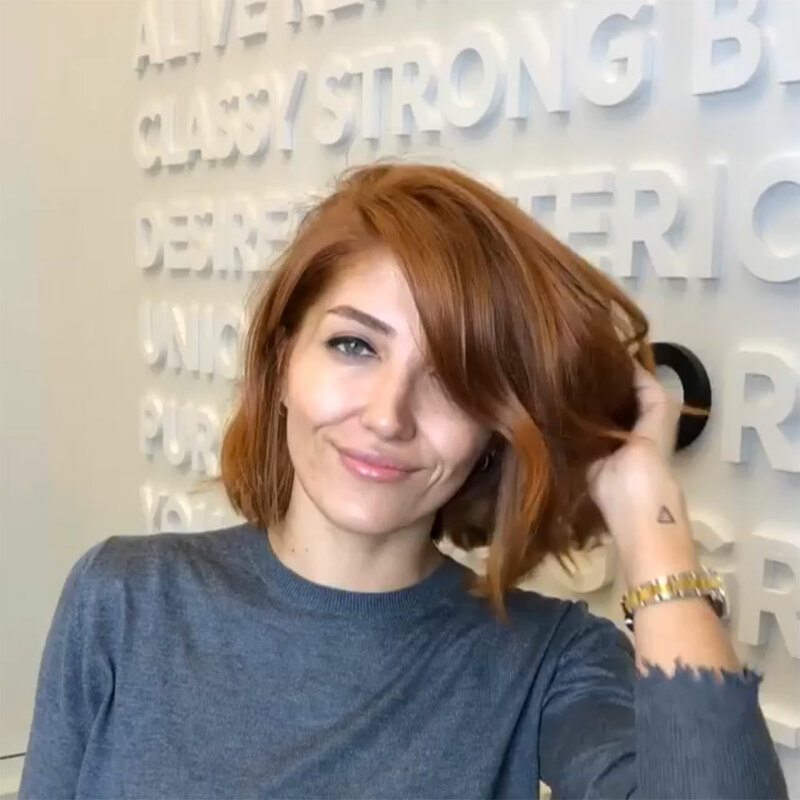 Lucky lady! I’m beginning to think Burton had a thing for pear-shaped gems. The earrings were part of the historical jewelry auction of Elizabeth Taylor’s jewelry and had a pre-auction estimate of $100,000-$150,000. 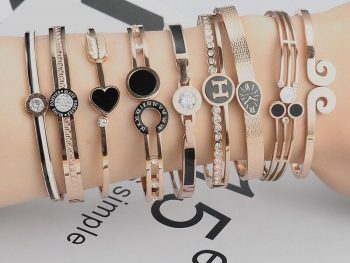 They sold for nearly nine times that amount at $962,500! Elizabeth Taylor Jewelry – Photo of Elizabeth Taylor by Hulton Archive. Eighties Elizabeth Taylor! Enough said. Elizabeth Taylor presents an award the 64th annual Academy Awards in 1992 wearing an incredible pair of antique diamond chandelier earrings. Check out the next slide for details! 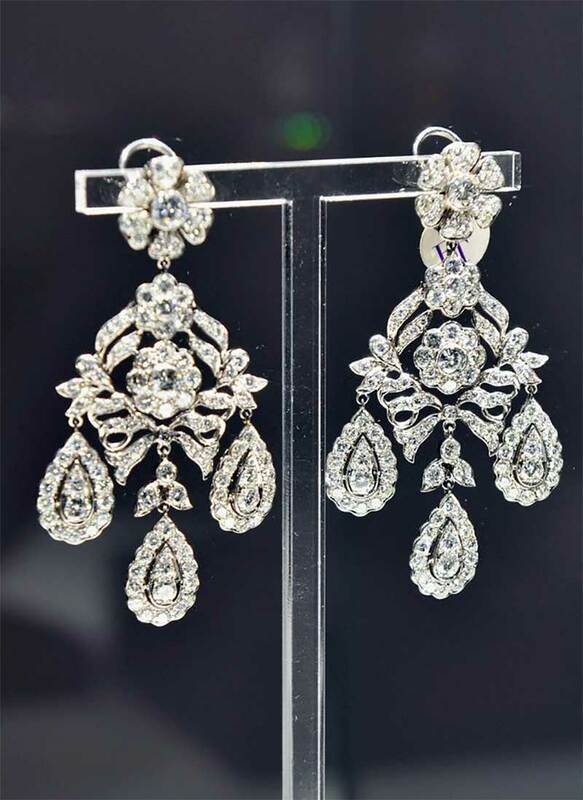 Elizabeth Taylor Diamond Chandelier Earrings – Slaven Vlasic. These earrings have a charming story that Taylor recounted in her book. She purchased them in 1959 from a Paris boutique. They were antique paste earrings, which of course are beautiful in their own right. 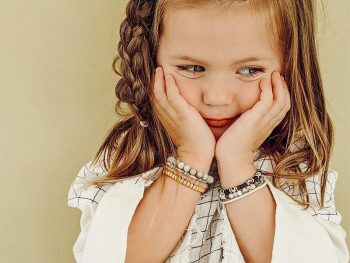 However, one day she noticed they were a little more sparkly than usual. ” “A few months later, back in New York, I was getting ready for a party and went to put them on. I opened the box, and the earrings looked all polished up. Elizabeth Taylor Jewelry – Photo of Elizabeth Taylor by Frazer Harrison. 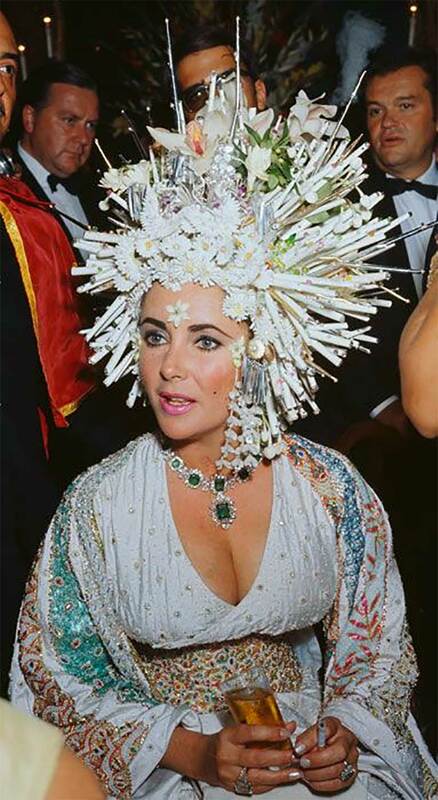 As Elizabeth Taylor got older, she never lost her flair for unique jewelry. This bib necklace is incredible! 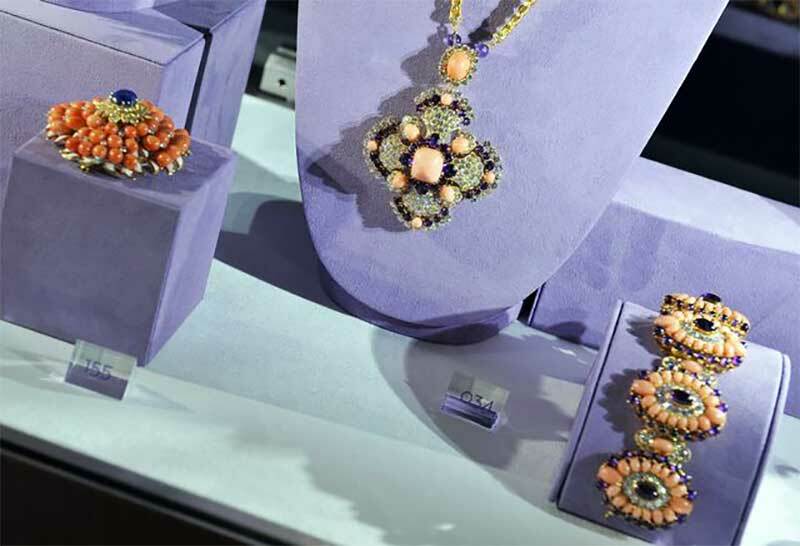 This collection of coral jewelry was on display at ‘The Collection Of Elizabeth Taylor’ auction press preview at Christie’s in 2011. 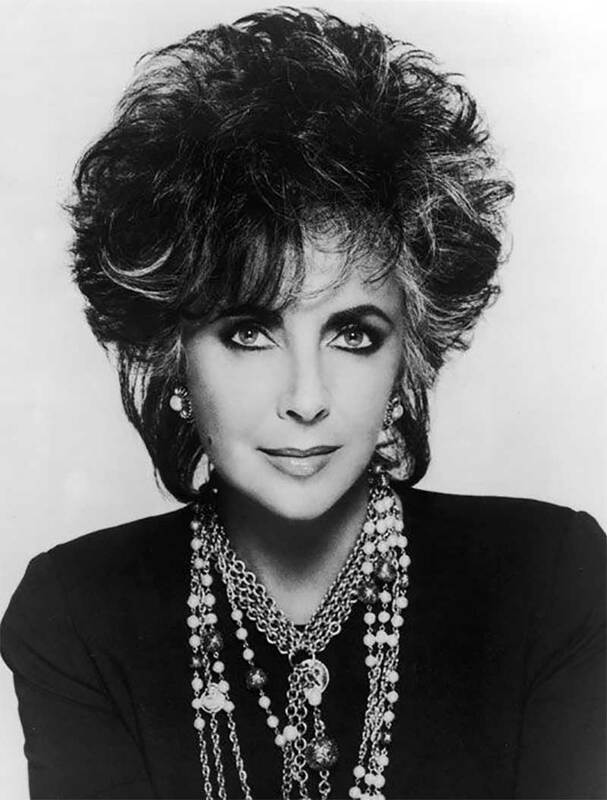 It makes perfect sense that Elizabeth Taylor launched her own jewelry line, House of Taylor Jewelry, Inc. Here we see her making a sparkling entrance in 2007 to promote her line. 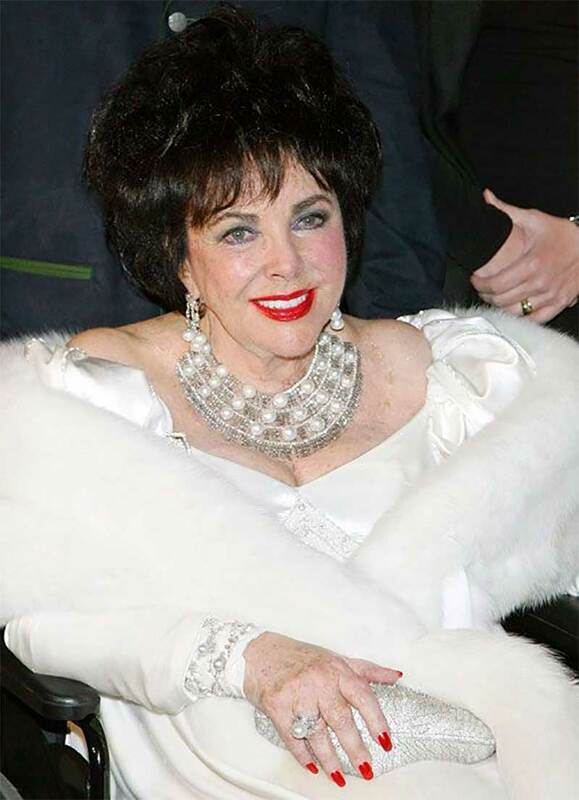 Elizabeth Taylor celebrated her 75th birthday in style at the Ritz-Carlton in Henderson, Nevada, in February of 2007. I love the red lip and classic jewels. 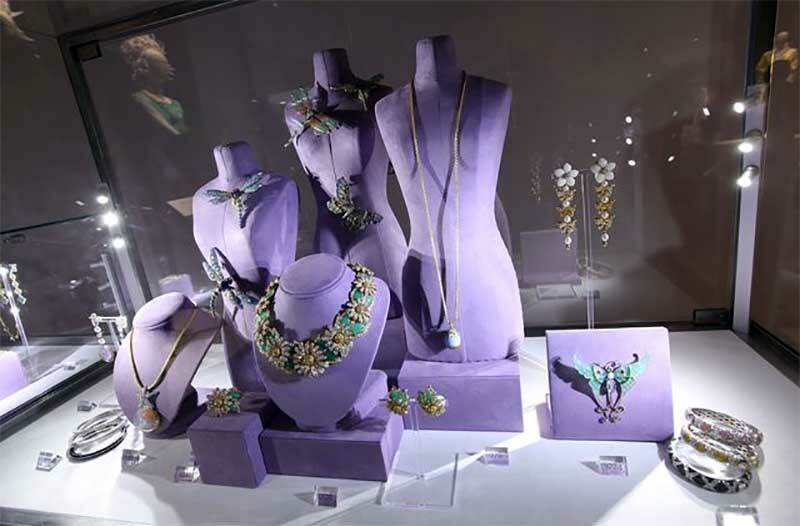 Here is a look at some of Elizabeth Taylor’s jewelry collection. She had an impeccable eye and collected rare pieces like the enameled butterflies we see here. Elizabeth Taylor collected all sorts of fine jewelry, from the old to the new, to the designer to the no name costume jewelry. 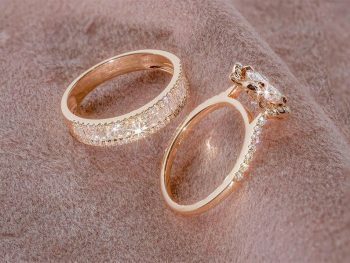 These antique diamond pieces are perfect.